Some life transitions are inevitable, while others are direct outcomes of the choices previously made by every individual. No matter what the situation or life challenge, reaching out for help is always the first step in improving your quality of life. Through therapy, you will be able to uncover your true potential, achieve the goals needed to overcome your issues, and make a positive change in your life. Natalie can assist you through the process by creating a supportive environment free of judgment and criticism. Every client will receive customized counseling integrating different therapeutic techniques, such as Solution Focused Therapy and Cognitive Behavioral Therapy, depending on their particular situation. 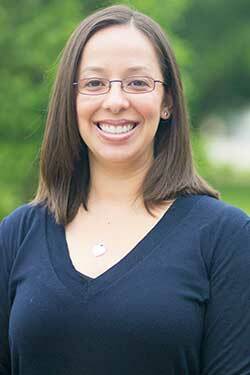 Natalie Gonzalez is a Licensed Professional Counselor, and a National Certified Counselor. Natalie completed her undergraduate work at University of Texas at San Antonio with a Bachelor of Arts in Psychology degree and then earned her Master of Arts in Professional Counseling from Argosy University-Dallas. Natalie has experience providing individual as well as family therapy in a variety of settings. She has extensive experience with children, teens and adults on a wide range of issues.